Toddlers are quickly learning so much about the world around them. They are all about speed - learning to sing, talk and run all at once. Children ages 18 months up to three years of age develop faster than almost any other age group, and in their minds, the world is changing by the minute. Lightbridge Academy's Toddler Program is designed to make the most of every one of their fast-paced milestones. 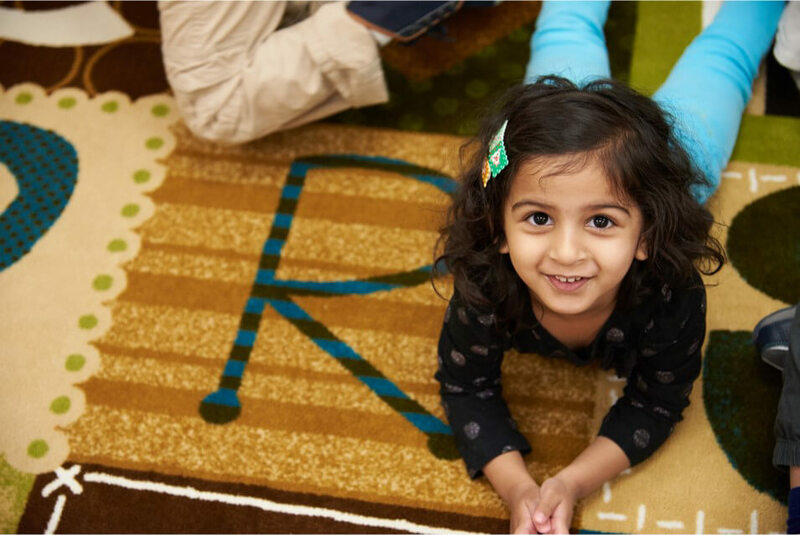 Our curriculum specifically addresses toddlers' rapid growth and development by catering to their readiness cues, with older toddler curriculum focused on preparing for preschool and beyond. When they display interest or signs of emerging skills, we can encourage them to move to the next challenge. Here, children are constantly stimulated to be creative and curious. They learn because they want to know more! We accomplish this in our early education program by focusing on each child's individual needs. "Every day my son comes home and teaches me something new. Last week I learned how to say 'octopus' in sign language. His excitement is overflowing!" Creative Arts & Music: Music, repetition, and movement are infused into group time and transitions. Creative arts are explored through textures, design and, of course, your child's imagination! Physical & Well-being: By walking and running, toddlers are gaining control over small and large muscles, fine-tuning their movements, and carving out their very own paths. Language & Literacy: Muscle control and cognitive advancements make way for very interesting conversations, which we relish and encourage, as toddlers express their thoughts and needs. Mathematics & Science: Teachers utilize counting, patterning, and matching colors and shapes, providing an early foundation for science and math. Social & Emotional: Independence really shines through as toddlers choose friends and delight in pleasing adults. Positive reinforcement encourages good behavior and creates enjoyable learning experiences. Cognitive: Cognitive progression in toddlers means less "trial and error" and more deliberate actions as well as a longer attention span and a preference for particular people, places and things. As a toddler parent, it's important to closely follow their progress and know what's happening during their day. Parent eCommunication App - Do we go overboard keeping you connected? Of course we do. You will receive reminders, notifications of your child's achievements, photos, video, a food & potty schedule and more in your daily report. Meal Plan - Lightbridge Academy has nutritious options available for you to choose from. We make sure to appeal to even the most finicky eaters, and you can be sure your Kindergartener is happy and eating well.